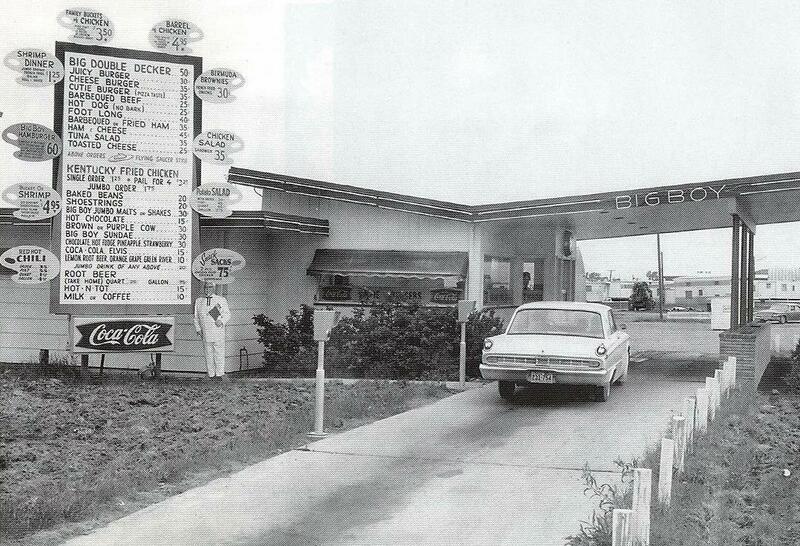 Big Boy Drive Inn – Highway 83 South – (across the avenue from the Gas Stop) – Home of Kentucky Fried Chicken – Finger Lickin’ good chicken - Single order chicken dinner - $1.25 – a barrel of chicken - $4.95 …. 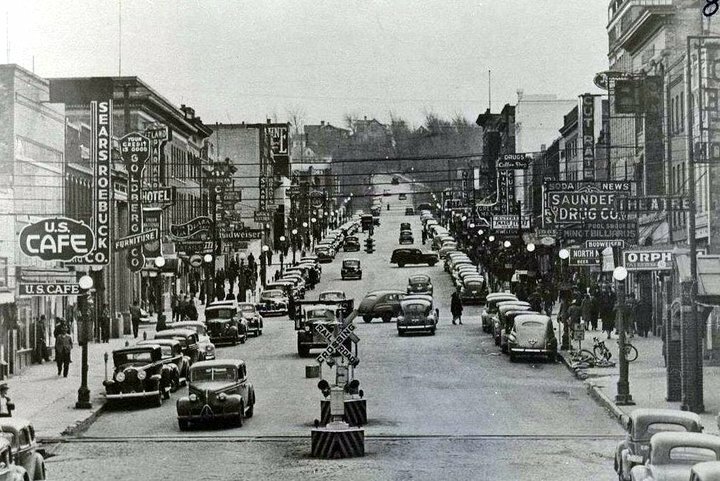 But do you remember the Flying Saucer Sandwiches – I worked here in 1965 for a few months for the whopping wage of 80 cents an hour. 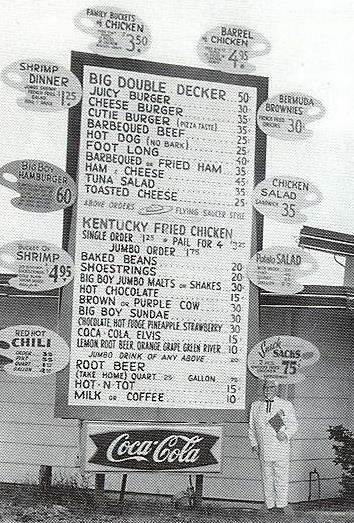 (of course gas was only 25 cents a gallon) – I made many of these sandwiches (cutie burger flying saucer style was the most popular) …. A special device that put the meat and filling between two pieces of bread, clamped down, trimmed the edges off, toasted the sandwich while it sealed it shut and when done it did look like a flying saucer.